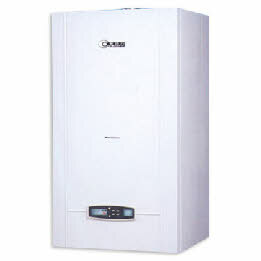 Your gas boiler is the most important part of your central heating system. Failure of your boiler leads to no hot water and no heating, it is therefore critically important that you maintain your system at all times. There are many different types of boilers and the service requirements will differ between conventional gravity systems, conventional boilers, combination boilers and the new more efficient condenser type. Although we can publish price guidelines these may differ dependant on your type, make and model of Boiler. We will be pleased to offer you the best advice so contact us give details of your Boiler (Make and Model) and age to our support team. Back Boilers (Fitted to the rear of a fire) £65 this includes the fire.